Just listed-Rare Ranch w/Full Basement! 2 Story Foyer-Welcomes guests into your new home! Kitchen – Features durable beauty w/practical convenience; hardwood floor, tile backsplash, pantry, breakfast bar, desk, ample cabinet & storage space! Breakfast Room – With bay window overlooking back yard! Great Room-Vaulted ceiling, Palladian window, ceiling fan, 2” blinds & cozy fireplace w/gas logs! Separate Dining Room – Palladian window, soaring ceiling, crown molding & wainscoting! Fabulous Master Suite – HUGE room w/trey ceiling, crown molding, 2″ blinds & ceiling fan! Elegant Master Bath – Double vanity, whirlpool tub, separate shower & walk-in closet w/shelving system! Split Bedroom Plan-Perfect for privacy! Sizeable rooms w/2” blinds & big closets! Secluded Suite-Tucked away on 2nd floor w/full bath! Jack & Jill Bath-With tile floor & shower & double vanity! Gigantic, full, finished basement-Media room, pool room, wet bar & full bath; could be in-law suite, man cave, etc! Also has work area w/utility sink & lots of space for stuff! Private, wooded back yard- Plenty of room for everyone! 2 Car Garage – Kitchen level entry; great for loading & unloading! Even better; add’l shelving for extra storage! Circle Driveway-Abundance of parking space for guests! Brand NEW ROOF-Just installed w/ridge vent! Professional landscaping-NEW path & plants in back, drainage & irrigation system! Fabulous golf/swim/tennis community – Fun for everyone! To be among the first to view this new listing, contact me TODAY! 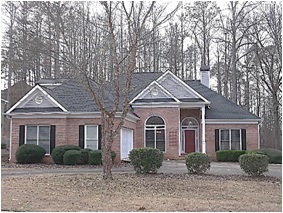 Just listed-Charming Condo near Chattahoochee! Move in ready –Most of interior freshly painted, updated lighting fixtures throughout! Entry/Foyer- Parquet floor welcomes guests into your new home! Great Room/Living Room– Has a cozy wood burning fireplace with gas starter & crown molding! Sunroom – Open to living room! Lets in plenty of natural sunlight! French door leads to patio! Formal Dining Room – New light & crown molding! Off kitchen & great room; excellent for entertaining! Kitchen – Freshly painted! Features gas stove/oven, pantry & ample counter, cabinet & prep space! Roommate Floor Plan – Each bedroom has its own bath; like having 2 master bedrooms! Perfect for privacy! 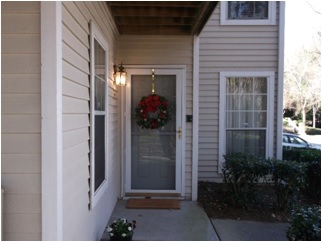 One bedroom has French door to patio & new storm door! Baths –Tile floor & shower surround! Updated lighting fixtures! One bath has new, low flow toilet! Bottom Floor/End Unit- Easy access to parking lot! Great for loading & unloading! Amazing Amenities – Lake, pool & tennis courts! HOA Extras – In addition to exterior maintenance & insurance, professional landscaping & amenities, cable, water, termite bond & garbage collection are covered! Great Location- Incredibly easy access to GA 400! Just minutes from shopping, restaurants & Downtown Roswell! To be among the first to see this new listing, contact me TODAY! 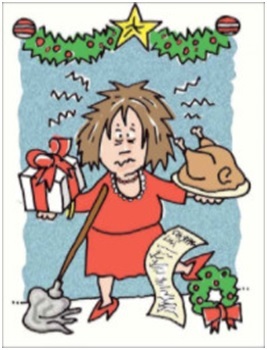 Many people regard the holiday season as a time for well-deserved breaks and festivities. Included in that merry-making is typically a myriad of sweets, carb-heavy comfort foods, cocktails and more than a few excuses for skipping your workout. • People with an attitude of forgiveness & self-compassion after 1 setback are less likely to give up and keep bingeing. • Just forgive yourself for the truffles. • Fasting can slow the metabolism. • Fasting all day will cause you to binge later. • Don’t binge at dinner- you’ll regret it the next day. • If you arrive at the party starved you will tend to overeat. • Drinking on an empty stomach = quicker buzz =mindless munching. • Eat normally during the day, and be strategic at the buffet. • Arm for Battle-Don’t go in hungry! • Eat your fat first! • Fat will leave you feeling full and stimulate metabolism. • Good fat: avocados, olives, olive oil, coconut oil, pastured butter and nuts. • Healthy fats help curb cravings keeping starchy sides and desserts total intake in check. • Arrive at a party satisfied not starving. • Decide ahead of time which items to select. • Poached salmon & salads may be at the end -by the time you get there, there is no room on your plate. • Choose a salad plate (ask for one if you don’t see one). • Make a “no-stacking” rule. • Forget about a second trip. • Don’t hang out by the food table – you will consume endless calories. Most importantly, have fun, enjoy your friends and family & have a VERY happy holiday season!